Parts 1-5 contain enough drivel to drive the average reader dotty. If you are here reading part six, you either: (a) haven’t read parts 1-5 or (b) have an above-average tolerance for drivel. Other possibilities do exist, of course, but I will refrain from exploring those rabbit trails at this time. Regardless of why you are here, a bit of recapitulation is never a bad thing. “Merry-Go-Round” is an ambiguous term, referring to either: an amusement park carousel or a piece of playground equipment. These apparati symbolise capitalism and communism, respectively. “Ferris Wheel,” although a term more straightforward in definition, requires a more in-depth historical survey to reveal its symbolic meaning. The symbolism is present as a double-negative in the original 1893 Ferris Wheel (anti-anti-imperialism), and then in the positive in the 1897 resilient wiener (imperialism). The players in this mind game reveal the underlying framework of competing political ideologies. Whether we choose to interpret the showdown as capitalism vs. imperialism or communism vs. imperialism is unimportant; the ad implies that imperialism is the winner, hands down. Three hundred years later, however, things weren’t looking so good for the empire. Franz Joseph I became emperor in late 1847. FJI took things slowly at first, listening to the prime minister and enacting a constitution in 1849. But the pesky hungarians were rebelling against the crown and the saucy italians, taking advantage of the hungarian hullaballoo, exhumed the recently-buried hatchet and resumed hacking away at the southern edge of the empire. A decisive victory at Novara, followed by some tag-team Austro-Russian stomping of the hungarian rebels, took care of the problems abroad. At home, FJI put the kibosh on an ornry parliament by going back on that whole constitution thing, thus becoming a bona fide emperor and ushering in an age of imperial absoultism. Huzzah! 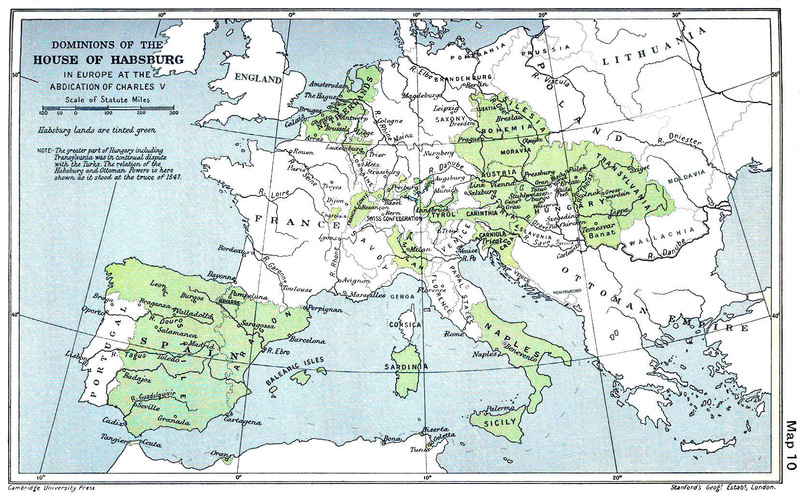 Following the events of 1849, FJI and the house of habsburg-lorraine dominated central europe, particularly in austria, hungary, and bohemia. These were the glory days of the empire, and it was the memory of this glory that powered the resilient wiener when it was erected 50 years later. Perhaps if FJI had played his cards differently, he could have maintained his empire as it was in 1850. But the Crimean War and break-up with Russia, followed by defeat in the Second Italian War of Independence kind of tainted the 1850s. The 1860s added insult to injury when FJI lost the Austro-Prussian War in 1866, and then further fractured his power in the Austro-Hungarian Compromise of 1867. The symbolic re-emergence of the kingdom of Bohemia showed waning influence in the Czech region, and the precarious political situation in Europe was already setting the stage for World War I and the end of the Austrian Empire. If FJI could do it all over again, take a historical mulligan, maintaining control over Hungarian and Czech lands would no doubt be a top priority. To do so, however, would no doubt require amassing huge military power. Czech reign, and Hungarian reign, would be kept by blood and fire. And so you see, my friends, it is this brand of neo-imperialist warmongering that our zoo world ad advocates! The uneducated facebook user might be enticed by the bright lights and pretty colours of the little ferris wheel, drawn like a moth to the flame of intolerance, destruction, and tyranny. But you do not enjoy the bliss of such ignorance, for you are a student of history. You see the propaganda piece for what it really is. And you do not click. Lady Liberté would be proud. 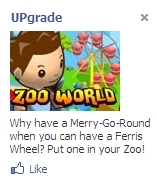 This entry was posted in facebook ads, zoo world, zw2: reign czech and tagged bastille day, capitalism, communism, czech, eiffel tower, ferris wheel, franz joseph I, french revolution, house of habsburg, imperialism, merry-go-round, mulligan, recapitulation, resilient wiener, zoo world by Hank. Bookmark the permalink.